My name is Agnieszka Drabek-Prime and I am a complementary therapist. I moved to England in 2003 and I live in Cambridge with my husband and son. I have a deep love for Reiki and have tried to live my life according to Reiki principles. 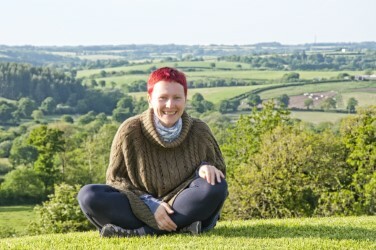 I am a UK recognised Doula, Reiki Master/Teacher, fully certified Zero Balancing practitioner. I have a Diploma in Herbology and Herbal Medicine from The British Institute of Homeopathy and currently studying Homeopathy. I became interested in complementary therapies whilst searching for a solution to my long-standing back pain. After discovering a way of dealing with pain I decided to study complementary therapies to be able to help others with their battles. I had found my vocation. This combination of study and personal experience has enlightened me with the ability and insight to give expert treatment in a way that is sympathetic and reassuring. It fuels my desire to help others to find comfort and fulfilment of their needs through the therapies I offer. It allows me to perform a healing process which empowers the client, enhancing their life force and bringing them to a place of well-being and contentment.